Plainly my work as a teacher is done! Right. We arrived in Slovakia and after three weeks I can still attest to the fact that the Slovaks are the most miserable bunch I have ever met. For a while we considered it a bit of a challenge to get them to smile but now, after many wasted greetings, squandered smiles and ignored waves we have decided to give it up as a bad lot. The thing is, it takes effort to be surly. If someone smiles it is almost a reflex action to smile back. To be sour faced requires concentration and not a little disdain. I know we should not judge other cultures by the social rules that our own lives are lived by. But these are Europeans. These are our brothers and sisters. Everything about them is familiar and yet this one glaring difference separates us. Perhaps it comes from the socialist years. Who knows? What I do know is that when we meet that one in ten person who is friendly - and we have met them, we are overly thrilled and act like we are parched desert travellers finding an oasis. Desperately drinking in their smiles and kindnesses. Tipsy last night from drinking mulled wine with some other teachers and our boss, we chatted with two or three groups of Slovaks and laughed, slapped backs and ended up in a bar dancing till the early hours. It felt like a gift!!! Anyway. Back to the start. 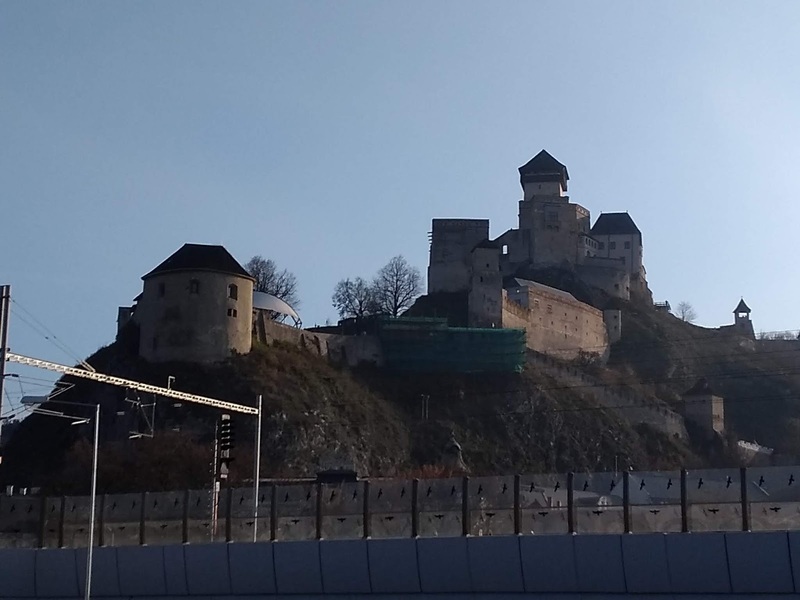 We arrived in Slovakia and shortly after crossing the border we pulled over to the side of the busy road into a sort of layby. We had just dished up beans on toast and a cuppa when a car with three men pulled up beside us and they got out, ostensibly, for a piss. One of their group, a particularly shifty, gypsy looking Romanian type starts gabbling away at us through the partially opened window in Romanian or Czech. The whole time is eyes were darting over what was in the van. My wallet was on the dash, the keys in the ignition and we were behind the table in the body of the van. Whilst talking his hand began moving up to the window edge and fearing his intentions Rachel surreptitiously pushed the central lock button beside her hand. He seemed unsure of what to do because we were sitting there acting very nonchalant and eating the whole time -answering a few questions but not engaging in much conversation. The chap was then joined at the window by one of his cronies and started asking us to give them money. We laughed dismissively and said no. They asked again. Rubbing their greasy fingers together in the universal 'money' sign. We firmly said no again and continued eating and just looking at them. I cannot imagine what went through their heads because we must have seemed so unfazed (that's because they couldn't see the poo stains on the seats though). The intimidation failed. I suppose their only option would have been to try to force entry but the road was just too busy and desperate people already holding knives (and spoons) with hot cups of tea are something of an unknown quantity, so they left. It was unsettling and it didn't help that we had seen a film called 'Nocturnal Animals' a couple of days before where something similar, but much worse, happens in it. As a result of the incident Rachel posted something on a motorhome group site she is a member of. The replies were fast coming and violent in their nature. I never realised that so many of the all-weather clad motorhomers were such psychos. We now have a whole gamut of self defence tricks should we be in a similar situation again. Ranging from home made chilli sauce spray to conveniently placed knife blocks, tyre irons or pitchforks. Teaching in the first week was tiring. As you will know we are not prone to excessive work and 6 hours a day of really active teaching is a surprisingly tough gig. Our role is to get the kids to talk by any means other than beating. We can play games, role play, chat... pretty much anything to raise their communication ability. It sounds easy but there needs to be structure otherwise you are just an outgunned children's entertainer. There are three of us at this school - Rachel, myself and Rob (A 30 something new dad with wife and baby in tow that hale from Brighton). We are all finished at the school by 1.30pm but we have not really used that time to do much else other than plan the following lessons or take a small walk around the not very attractive town. Unsurprisingly the school faculty were morose and positively cold towards us. With our English contact being a taciturn woman who spoke little English. 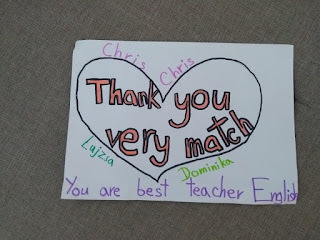 Plainly not a qualification for being a language teacher at that school. We did get a chocolate bar and bottle of water each day which was nice but I think we would all have better enjoyed more smiles. 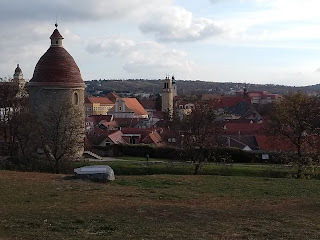 Our week finished we headed off to a pretty town called 'Trencin' for the weekend. It's getting colder so we wrap up in the van and stay in a stadium car park right by the town. It was a nice place with walks through the woods and a good street busker. Week two - Skalica. What a difference. The teachers are really friendly. The headmistress is lovely and friendly and our contact - Kristina - speaks excellent English and smiles constantly. It was quite unsettling in light of our other interactions. We have two dedicated rooms and the levels of the kids English is much higher. We even had a local tv crew in to film us and ask questions about Slovaks learning English. A link to the clip is on our facebook pages if our friends are interested in seeing us in action. It was so nice that our second week was good. It filled us with a warm fluffy feeling and the cake and wine that we received as a parting gift sealed the deal for us as to who the best school was. 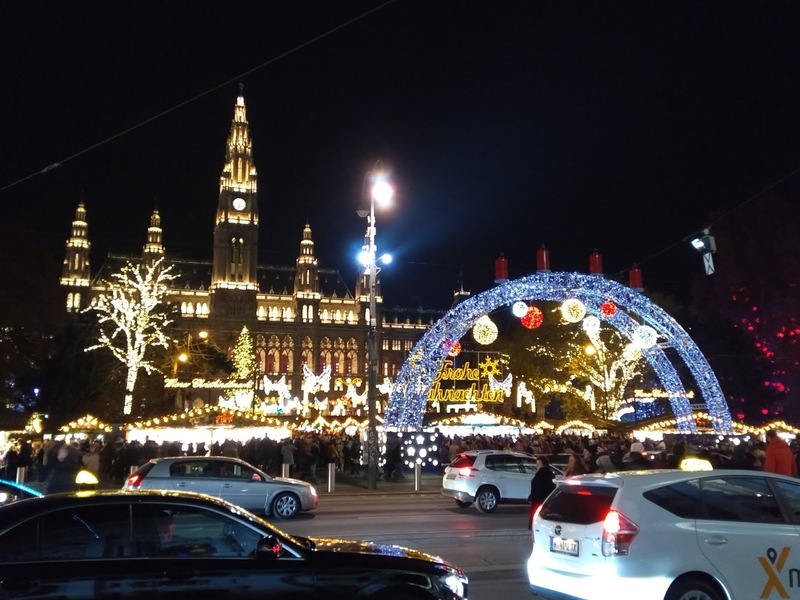 We finished at the school by 2.00pm Friday afternoon so we set straight off to Vienna in Austria for the weekend. Wow. 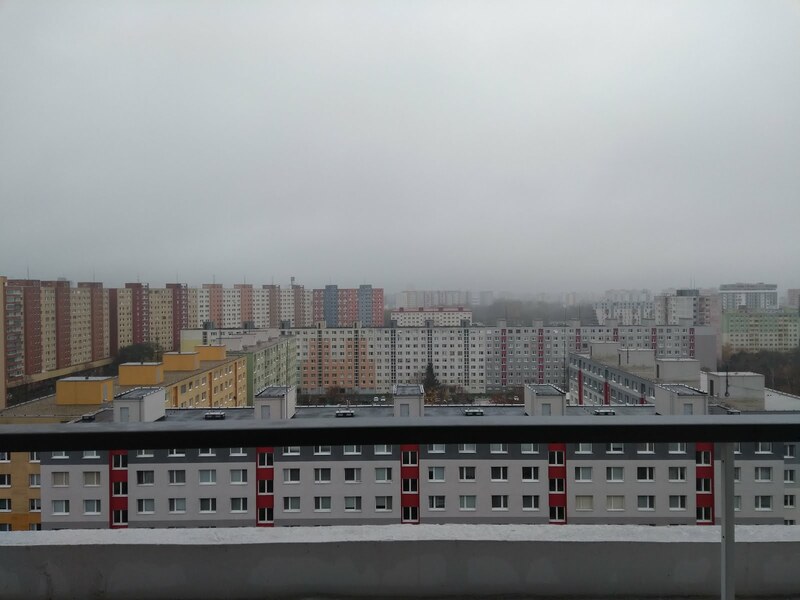 What a nice city. Majestic buildings, wide boulevards, modern shopping plazas, big squares and lots of greenery. It felt stately but in a good way. 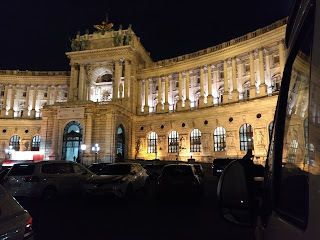 We stayed the Friday night outside the city and then drove in on the Saturday morning to park up outside the Austrian government in a lovely plaza surrounded by museums. A place we had heard we could stay for nothing - How weird is that for a setting? Almost as soon as we entered the city we were pulled over by the Austrian police. We thought it was due to our driving but no, it was because a lot of English campervans get stolen by gypsies and are driven back to gypsy land (wherever that is) via Vienna. Now on the one hand I like the fact that the police were so vigilant but was a little miffed at being mistaken for a thieving Romanian gypsy. Anyway we are allowed to go but told firmly that we could not park at the parliament buildings. We said we would look elsewhere then and as soon as we turned the corner headed straight to the parliament buildings and did indeed stay there for the weekend. 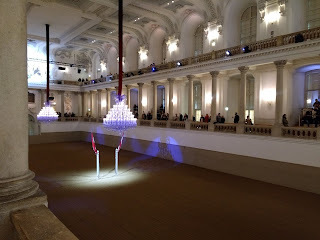 We had a fantastic time in Vienna. There were several huge Christmas markets, the streets were all prettied up for the season. Ice rinks had been constructed and mulled wine was on sale everywhere. The weather was cold but beautifully sunny so ideal for walking. So walk we did. Taking in many sites including going to see the Lipizano horses parading in the 400 year old stables in the heart of the city. It's extraordinary looking down onto the training/show area that is housed in such an old and imposing building. Anyhow, the horses were amazing and really made the weekend memorable. We then drove back to Slovakia and once again got pulled over by the police on the way out of Austria who were checking for road toll stickers on vans driven by Romanian gypsies. Luckily we had bought one but even so the police thought it best to check. The third and now fourth weeks here presented us with nothing much worth reporting upon. The school in Bratislava is not very friendly, in fact quite icy and we will be glad to be done with it and the grumpy teachers. 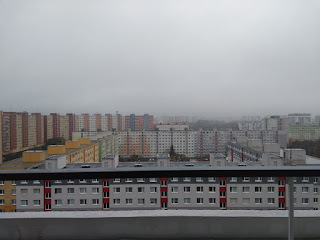 Bratislava might be a nice place but it has been misty, cold, sleeting and raining the whole time we have been here so we have been dissuaded from sight-seeing. We did bike into the centre one afternoon and chained our bikes up near a restaurant. When we returned a few hours later one of the locks had been cut off so obviously someone had tried to steal the bikes. Luckily we had put two locks on so didn't lose them both - subsequently bought much bigger chains. Bastards. 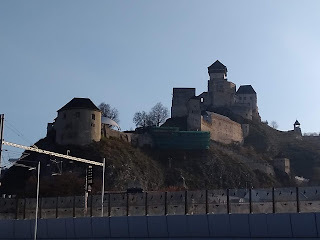 To finish off this blog I have two last things to say about the Slovaks, First, they are impatient and quite dangerous drivers. It's deffo not fun to have to drive a f***ing big campervan about a city packed with would be boy racers. I admit we are on a downer about the country, and I am sorry if that upsets any nice people we have met (the three of you know who you are) but that's the way it is. The last thing is, some places we like and some places we don't. And Slovakia, so far, is a big DON'T like. Such a shame that the place is not very friendly because on the TV it all looked so good. I can't believe gypsies trying to steal from gypsies!